Heifer Pride™ is a unique blend of vitamins, kelp and botanical flavorings, specially formulated to support optimum performance of dairy or beef heifers and calves. 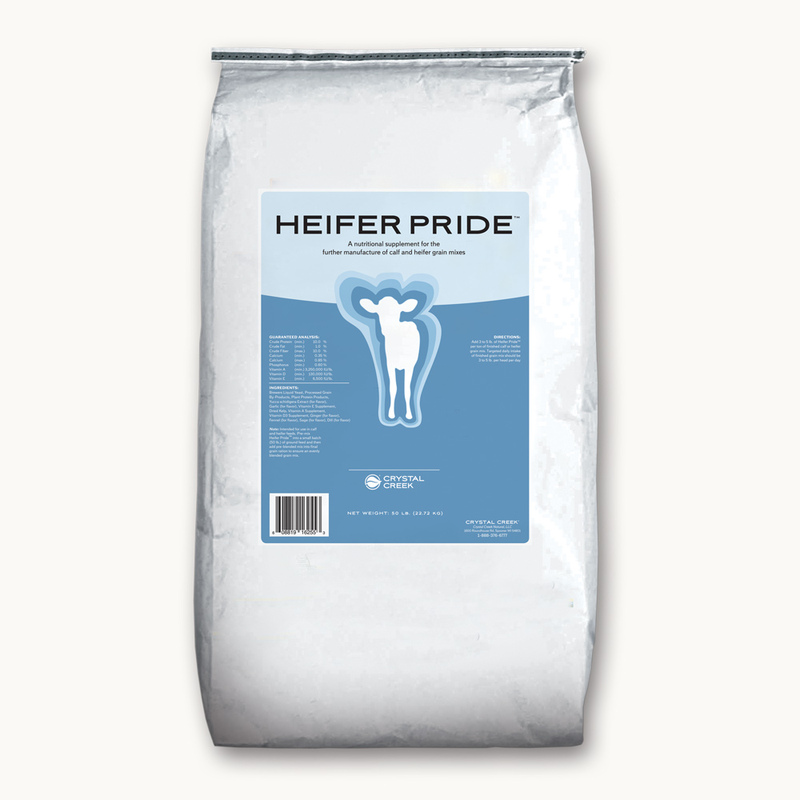 Mix Heifer Pride™ into the grain ration for best results. Crude Protein (Min.) 10.00% Vitamin A (Min.) 3,250,000 IU/lb. Crude Fat (Min.) 1.00% Vitamin D (Min.) 130,000 IU/lb. Crude Fiber (Max.) 10.00% Vitamin E (Min.) 6,500 IU/lb. Add 3 to 5 lb. 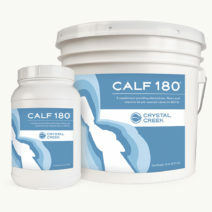 of Heifer Pride™ per ton of finished calf or heifer grain mix. Targeted daily intake of finished grain mix should be 3 to 5 lb. per head per day. 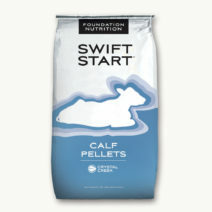 Note: Intended for use in calf and heifer feeds. Pre-mix Heifer Pride™ into a small batch (50 lb.) of ground feed and then add pre-blended mix into final grain ration to ensure an evenly blended grain mix.